Let's be clear: This rumor comes from anonymous sources and is in no way official. But it worries me so much, I'm breaking a couple of my own deeply-held convictions to pray to every deity I can that it's not true. Ready? Okay, deep breath. The rumor is that Warner Bros. is looking at Jaden Smith to star in Static Shock. 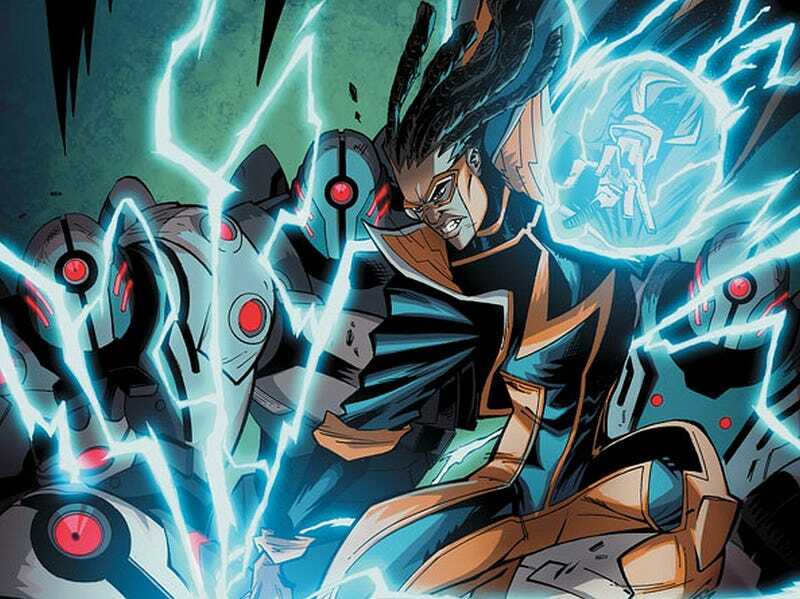 The live-action Static Shock series is being made as part of Warner Bros.' new digital division, and is being helmed by Reginald Hudlin (Django Unchained and House Party). In theory, a digital project with a decent budget should be taking creative risks, but this latest rumor seems to hint that Warner Bros. wants the publicity bump from Jaden Smith's name. According to Flickering Myth, the studio is looking at the second-youngest Smith for the part of Virgil Ovid Hawkins. If that happens, and Will Smith is actually locked down for Suicide Squad, there will be a Smith in every live-action branch of the DC universe. Jada Pinkett-Smith on TV in Gotham, Will Smith in the films, and Jaden in the digital realm. Not to rag on a child, but as someone with very found feelings towards Static Shock, I'd really like to see a more unique direction being taken here. But who knows? Maybe I'm just overreacting to After Earth, and he's actually the perfect match being overshadowed by one vanity project gone awry.